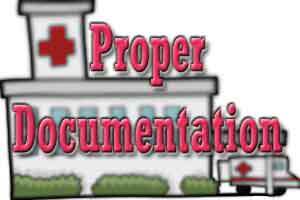 A Doctor is saved because of proper documentation !!! Relying on these observations of hon. 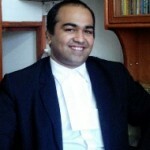 Apex Court in the celebrated case of Jacob Mathew V/s. State of Punjab, (2005) 6 SCC 1, the National Commission Dismissed the Negligence case against the Doctors by its recent order dated 01/12/2015 in the case of ARCHANA SHARMA & 2 ORS.. V/s. NORTH STAR HOSPITAL & JOINT REPLACEMENT CENTRE & 4 ORS. Initially the Complainant had her own doubts about the decision of on duty Doctors to operate as according to her no specialist had seen CT Scan reports, however later on she gave her consent, but under alleged fear. It was alleged that one Homeopath Dr. gave injections of Phenergan and Serenace and lastly Butrum 2 mg, which was also opposed by the relatives. Thereafter the patient has breathing problems and due to nasal surgery, it was difficult for him to breath and lastly he was shifted to ICU, but in vain. The Complainant also alleged that it was not an ICU with all the equipments, but an ordinary room !!! However the Complaint was dismissed my the State commission of Lucknow, U.P. The National Commission after perusing the medical record and after hearing on parties, rejected the claim of Complainant. It observed that the injections were prescribed by the regular doctor of the Patient and rejected the allegations that the Consent was given under fear !!. The Commission also relied on the observations of State Commission which did not accept the Ethical Committee Report based merely on the statements of persons of the complainant’s side. The injection Butrum was administered to the patient and that too by Dr. D. K. Singh was held to be not proved.. The Commission further observed that, the it is a fact that the patient was a drug addict, chronic alcoholic and was not in a good health. On 20-05-2012, Dr.Ravikumar, the regular Doctor himself prescribed necessary medication viz. Tab Encorate 500 Mg., Tab Librate and injection Lopez. along with Phenargan injection, Serenace injection and Alprax tablet, were also prescribed and There is no rebuttal of these facts by the complainant. Yet again this judgment emphasises the important fact of proper documentation !!! No documentation is no defense and poor documentation is a poor defense !! What one should learn from these judgments is “dos and donts” !!! ARCHANA SHARMA & 2 ORS Versus NORTH STAR HOSPITAL & JOINT REPLACEMENT CENTRE & 4 ORS. 3 comment(s) on A Doctor is saved because of proper documentation !!! To @RohitErande; Sir, as per legal provisions, can a Homeopathic Doctor work as a General Duty Medical Officer (GDMO)? Kindly site some reference.